Can William trust anyone? Will Carmen’s dreams come true? Will Mary’s badge protect her heart? Returning the stolen flash drive is the only hope for survival. 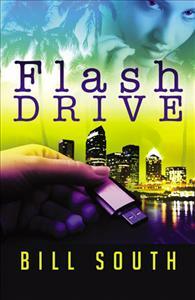 Flash Drive reveals the mystery and danger behind a computer flash drive that unemployed author, William Sharp, accidentally finds. William’s life is suddenly threatened by a vicious and beautiful, corporate vice-president who will use any method to retrieve the flash drive and the secrets it holds. William’s survival depends on trusting an unscrupulous profiteer and a police detective that William has often deceived. Learning to believe in himself and the woman he loves is his only hope for survival. This is an enjoyable read on a beach or pool day. Adventure, a little romance and intrigue. Good first novel.